Be the first to see the azaleas that thousands of visitors to Tyler, Texas, will enjoy this spring. 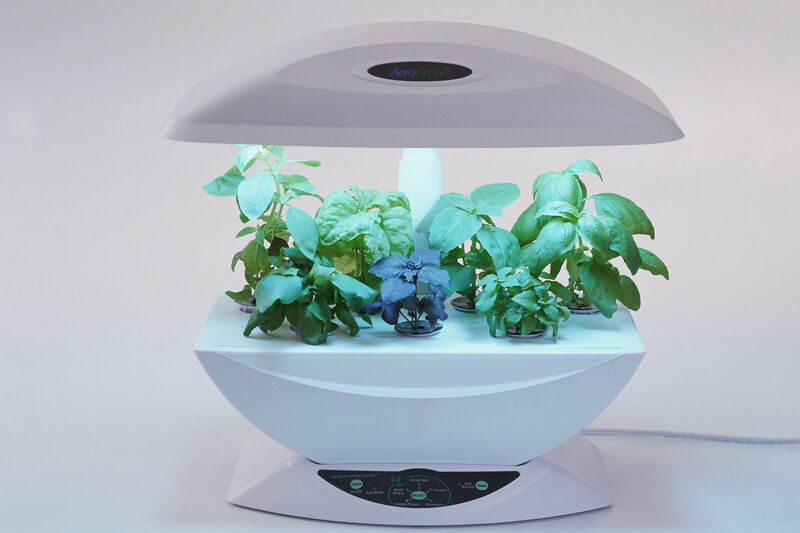 Great gardens can spring up in surprising places. Believe it or not, the star attraction at the annual Tyler Azalea Trail had its origin in―of all things―the Depression. When President Franklin D. Roosevelt created the Works Progress Administration (WPA) to put the country back to work, WPA employees took on all kinds of projects. In Tyler, they built some of the beautiful redbrick streets and oversaw the construction of a big drainage project. Spanned by stone bridges, it runs through the backyards of homes in a community that was once surrounded by cotton fields. Fast-forward several decades. Tyler’s small-town charm convinced lots of city folks to call it home. Far from dividing the current homeowners, that WPA drainage project with its old-world-style stone bridges helped bring them together, transforming three separate gardens into one. 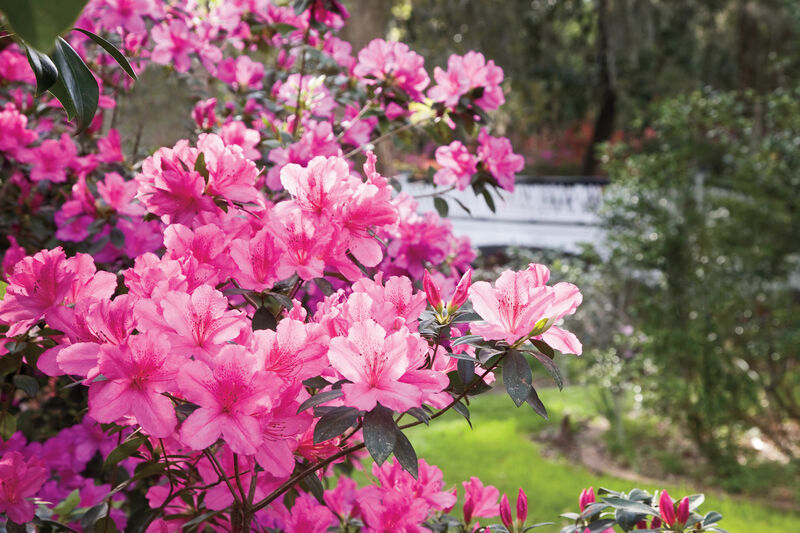 The centerpiece of the Tyler Azalea Trail, it draws thousands of tourists every spring. All three sets of neighbors―Guy and Joan Pyron, Don and Bonny Edmonds, and Gordon and Margaret Davis―moved to Tyler from other parts of Texas. And because their homes were in the heart of the town’s historic Azalea District, they all created gardens that were unique to their personalities yet had a common thread: amazing azaleas. It took Don five years to get rid of the English ivy that had taken over the trees and old flowerbeds. He also cut down big privet hedges blocking the view from the street. The Edmondses even spent a week in England, including the Cotswolds, soaking up inspiration. Though many of the English gardens they saw overflowed with flowers, Don was drawn to those that were more manicured. “I’m really a clip-and-design kind of guy,” he says. When they came home, he and Bonny set about adding azaleas, sculpture, and order. 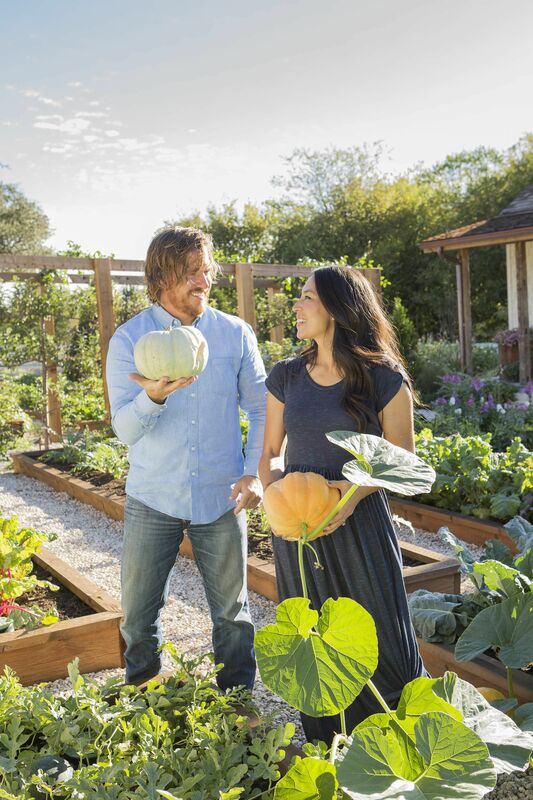 Now that the garden has become a showstopper, they’re more than willing to share it. It’s simple; it’s natural―that’s the way Margaret Davis describes the garden she and her husband, Gordon, created. Simple doesn’t always mean easy though. 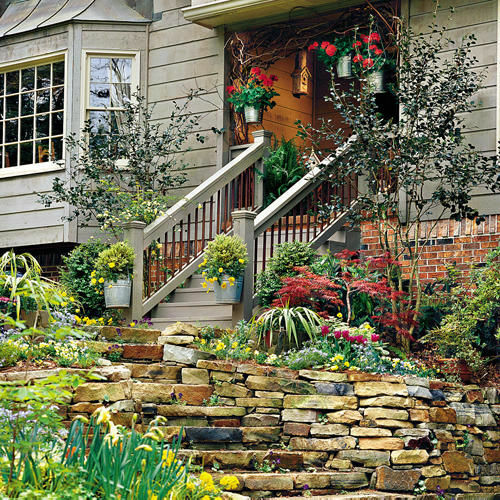 To get the look they wanted, the Davises took out the former owner’s railroad-tie flowerbeds and then added 11 tons of stone and more than 1,000 azaleas. Take a lesson from these three Texas families. 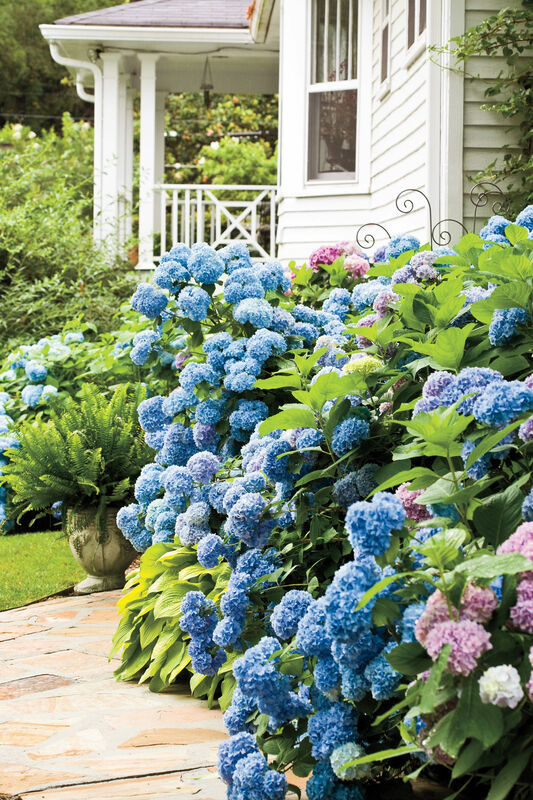 The next time you spot the neighbors admiring your azaleas, daffodils, or roses―invite them into the garden. Friendships, too, can bloom in the springtime. More Information: This year is the 50th anniversary of the Tyler Azalea Trail. To find all the information you need, visit www.tylerazaleatrail.com. The trail, open March 20-April 5, is primarily a driving experience through quiet neighborhoods with brick streets, but you can also walk parts of it.